Last week I did a post on sustainable beauty hacks and next in the series is this article on sustainable fashion hacks. 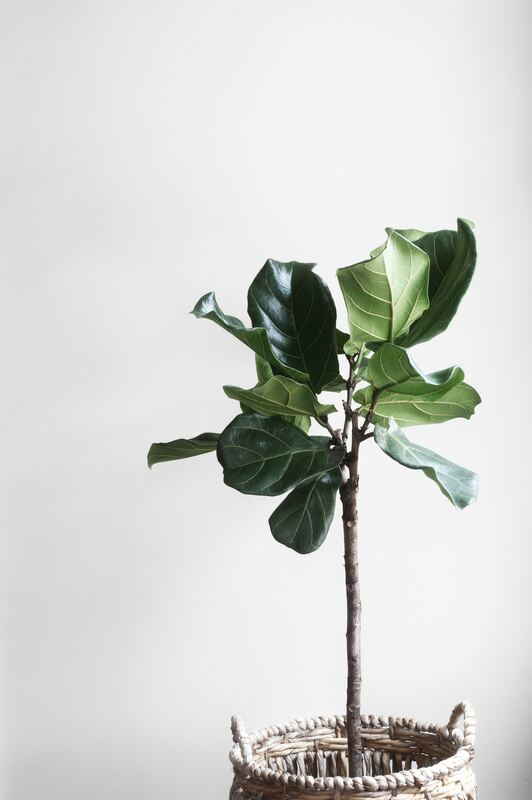 I’ve talked about some of these ideas before, whilst others are new, so make sure to check this tag on sustainability to learn more. 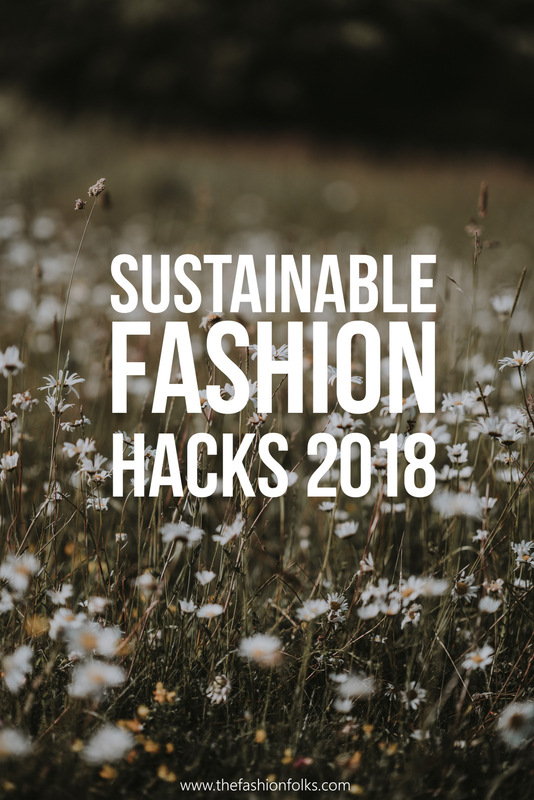 Without further ado, here’s some sustainable fashion hacks! One of the most important things regarding sustainable development in fashion is to do as much as you can. The frank perspective is that the majority of the purchases that are done today are unnecessary (in one way or another). They’re more of an enjoyment rather than a necessity. This means though that once you do shop you should shop to support! Shop to support can be any type of purchase where the brand does something in return. For instance, perhaps they donate a bit charity, or they plant new trees or they invest in developing their brand to become more sustainable. There are so many companies out there who returns the revenue to society in different ways. And of course, shop to support can also be about supporting the local brands and products that have been produced locally. Instead of shopping a new item once a zipper or so breaks, why not repair the clothing piece instead? Socks with holes can easily be fixed, so can buttons and broken hemlines! 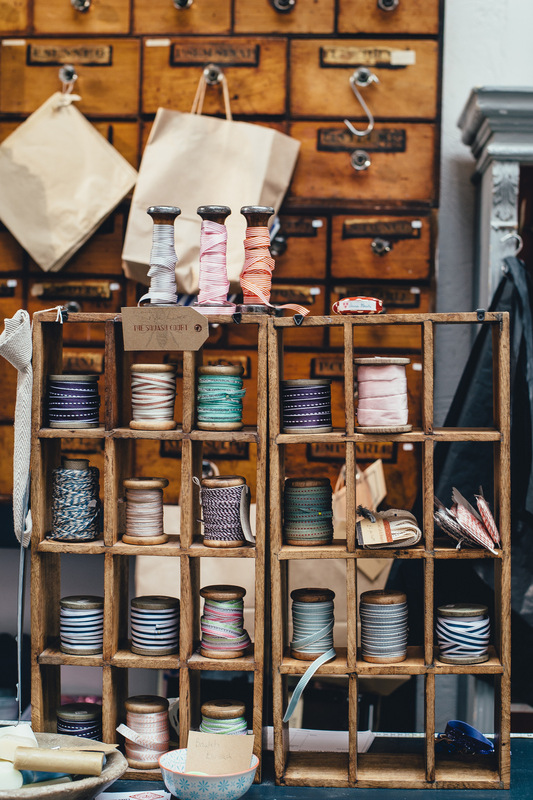 Either if you do it yourself by some crafty (pun intended) DIY or if you let a store fix it for you – it’s vital that we care for our clothes, shoes and the materials we already have. A great example of this are all the shoes we toss because the soles aree worn out. Well, guess what, it’s quite easy to pay someone to fix the sole for you these days! Kind of like recycling, but for yourself! One way to shop less and extend the time your clothing piece is wearable is to invest in clothing pieces of better quality. More expensive doesn’t necessarily mean better quality, but often times there’s a correlation. Especially so if the clothing piece is made from organic materials, handmade or from recycled products. So how does one afford more pricey clothing pieces? Well, it’s all about saving. For instance, instead of buying cheaper tops on routine – buy one top that you save up for. If you buy five, cheap, black tops during one year, they probably cost as much as one black top. The latter might be more expensive, but also of better quality and therefor durable. Knowing what clothing pieces you’re going to buy is kind of like setting small goals for yourself. Once you’ve saved up to buy that one top, you’re likely to enjoy it more than those tops you get on the run! All your clothing pieces that are just laying around, barely worn, are all clothing pieces that are better off somewhere else, like a charity or in a second hand store! Organizing your closet is key in a sustainable fashion life as you’re aware of what clothing pieces you own, what clothing pieces you miss and what pieces you don’t use. Knowing your wardrobe is essential for building a fun and exciting style with the clothing pieces you already own. The clothes that aren’t used in building that style are clothes you should donate or give away however. I wrote in this post on how you can organise your wardrobe and some other tips! Lastly! Another hack is to not wash your clothes too often. Not only do you save a lot of water, but you also save your clothing piece’s life cycle by not washing too often. Of course underwear and clothing pieces that smells poorly are all things you should wash after you’ve worn it one time. Clothing pieces that don’t need to be washed as often are clothes that still feels fresh after you’ve worn them. It can be blouses, jeans, pants, cardigans skirts, dresses and even t-shirts if they still feels good. Especially regarding cardigans and jeans you can let it go quite a few times between the washes. Some people even think that jeans should never be washed as the style of them changes after a few washes. I’m not going to link to any particular site with some guidelines (they’re all so different), but do some research of the clothing pieces you’re unsure of! There are tons of hacks of how you can wash clothes more eco-friendly too! Really really liked those tips dear! I always try to invest in good quality and local brands, I kinda feel happier when I know what’s the story behind a piece. Thanks so much for sharing this! Love these hacks especially shop to support.So great. Love these tips, thanks for sharing! I agree with trying to repair things rather than buying new items. Saves money for sure too! I love this! So handy! And I’ve got a few pieces that need to be repaired/re-soled, instead of thrown out! Yay! You know we all need this! Big time. I’ve been trying not to wash my clothes SO often – particularly my denim. It makes my clothes last so much longer – incredible! Repairing is also a great idea. I need to learn to sew!